A number of efforts are being made to ensure that the fifth tier of English football gets showcased across the globe. Vanarama are leading the charge and have called for EA (Electronic Arts) to make the National League the 37th playable league in the next edition of popular football game FIFA, in what will mark its 20th edition when released in September 2019. Currently, in FIFA 19, all 92 clubs that play in the football league are featured in the game but, unlike Football Manager, there is yet to be any Non-League presence in EA Sports’ leading game. And, frankly, people have had enough! On the petition page, Vanarama comment: “You’re here because you believe the real football fans of the National Leagues deserve the chance to play with their favourite team on FIFA 20”. Speaking about the campaign, Andy Alderson CEO and Co-Founder at Vanarama said:“We love being involved in non-league football. Its proper football, with proper fans. 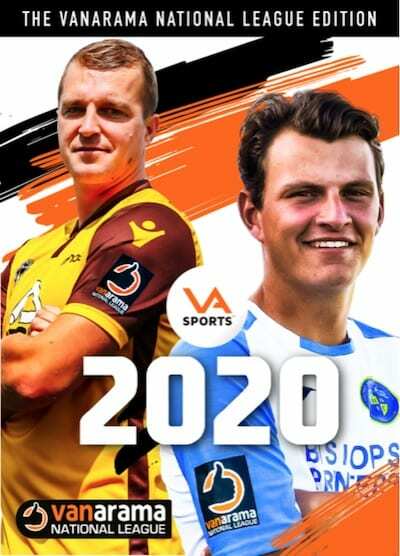 The Vanarama National League is growing year on year and deserves to be recognised in FIFA 20.”EA Sports need to stand up and take note and give the best fans in world football what they want. If it’s in the game, it’s in the game – come on EA live by your mantra!”. It’s certainly not an impossible project to get behind, seeing as they added the Chinese Super League in the series’ last outing. And while that was as much a play to appeal to the massive Chinese market more than anything else, it at least demonstrated that EA isn’t averse to bringing lesser-known teams and players in to the game. At the time of writing this, the petition has hit 6000 signatures, nearing the next goal of 7500. Thousands more are expected to sign, and you can get involved right now! I’d say, more than anything, this would be highly beneficial for the game as for far too long now they have ignored the non-league sides and this would be high time to rectify that. Sign the petition here! And I highly recommend that you do, especially as it might mean that Torquay United (if promoted from National League South this season) could be back in FIFA once again joining fellow South West opponents Exeter City and Plymouth Argyle, who play in League Two and League One respectively.